Historically, large corporations and cultural institutions have contributed to a rich and experimental graphic-design culture in the Netherlands, which has played an important role in establishing the reputation of Dutch design abroad. This culture is now under threat. Increasingly, even this category of clients opts for the standardisation of communications with the result that the public’s preferences are reinforced rather than challenged. This approach leads to a shrinking of the graphic-design landscape and is disastrous for the development of young talent. It is part of the remit of Het Nieuwe Instituut to counter this stagnation. Accordingly, the plans for a new graphic identity quickly turned to thinking about providing a new platform for graphic designers that would simultaneously form the identity and communications for Het Nieuwe Instituut. The new visual identity of Het Nieuwe Instituut consists of a continuously expanding variety of designs, held together by a simple label. Graphic designer Maureen Mooren is responsible for the concept. She explains how she developed this new 'house style'. As the new institute’s programme became more clearly outlined, the prerequisites for a new, more permanent identity were also elaborated. Beyond the homepage. That was an important idea behind the website for Het Nieuwe Instituut. Together with studio Moniker, a concept was developed in which each project is given its own face. The site functions not only as a communications tool but also an a platform for interactive design. 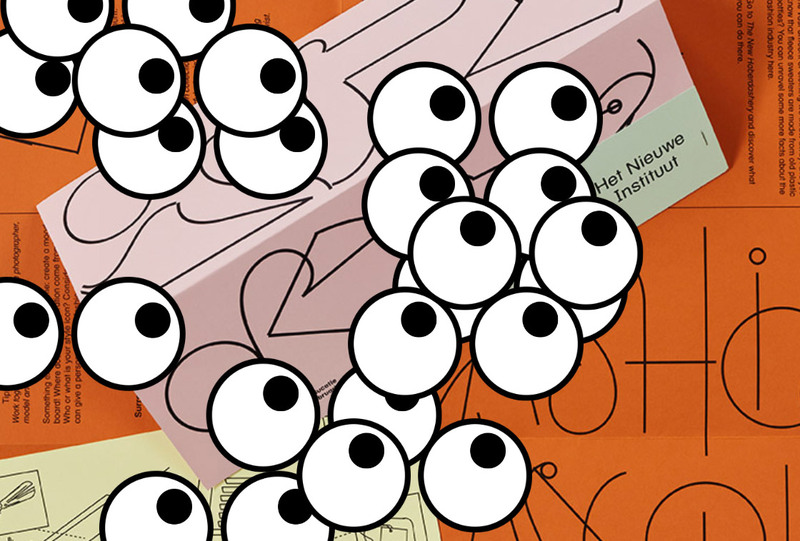 Overview of all the graphic designers who have designed communications tools and/or exhibition graphics for Het Nieuwe Instituut between 2013 and 2016.